The squeals of excitement are like nothing else as the toddlers and the preschoolers spot Thomas the Tank Engine, Percy and the passenger carriage Annie (or was it Clarabel?) IN REAL LIFE! Our buddies from the Isle of Sodor make their way to join the gang at Puffing Billy twice a year. In these quickly sold out sessions, little (and big) kids get to experience a pint sized ride on the rails and a station filled with Thomas fun - perfect for the preschooler age group! This little train fan was beside herself with excitement as the steam bellowed from the chimney and the conductors waved cheerio as they prepared the engine. In true railway style, arms wave frantically to the cows in the meadows, as well as locals waiting beside the rails. Of course on Puffing Billy's home tracks, Thomas can't manage it on his own with a diesel engine leading the way from Gembrook, and then Percy looks after us on the way back home. 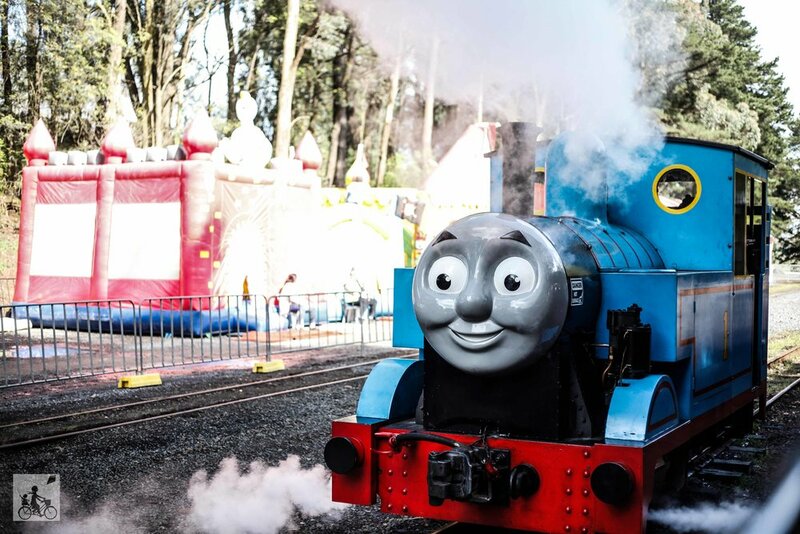 There is more than just the train trip with photo opportunities with the Fat Controller, face painting, art work, a petting zoo, bus rides and jumping castles all included in the price of admission. There is a coffee cart and food available on site, or you are welcome to bring your own picnic. Mamma's special mention: Parking is up at Gembrook Primary School which is a 5 minute walk from the station. If you are planning on leaving the pram (which you can't take on the train anyway), do take advantage of the 2 minute drop off parking so little legs (and Mamma's arms) are fresh as a daisy when you arrive. 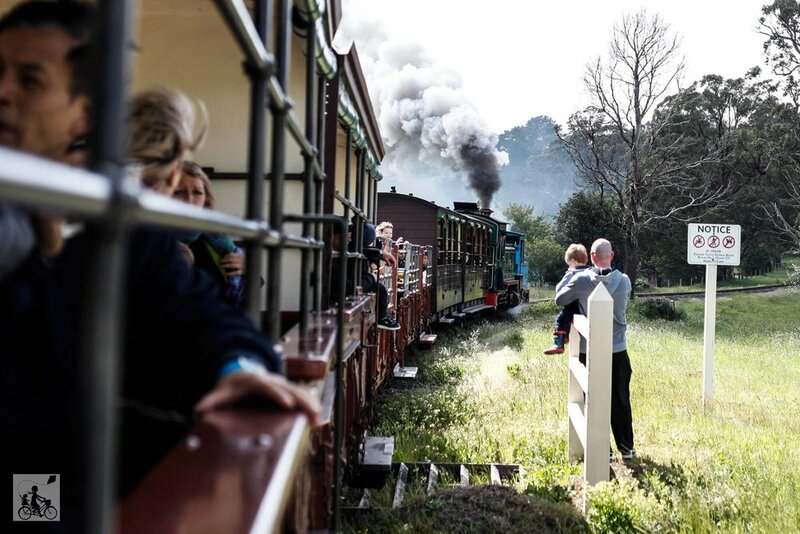 Once the kids LOVE this train experience, upgrade to a FULL Puffing Billy ride!